Can't find a driver for your Epson GT-S650 ? We reverse engineered the Epson GT-S650 driver and included it in VueScan so you can keep using your old scanner. VueScan is compatible with the Epson GT-S650 on Windows x86, Windows x64, Mac OS X and Linux. 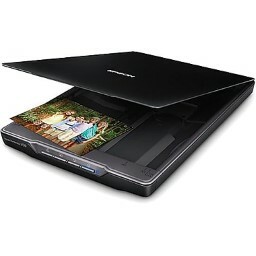 You need to install the Epson driver to use this scanner on Windows x86 and Mac OS X. On Mac OS X, this is normally already installed by Software Update, so VueScan should just work. You need to install the Epson driver to use this scanner on Linux. Note that Epson drivers for Windows Vista or later will usually work on Windows 10. Drivers for Mac OS X 10.6 or later will also usually work on Mac OS X 10.12 (Sierra). Epson sold this scanner in some countries as the Perfection V39.